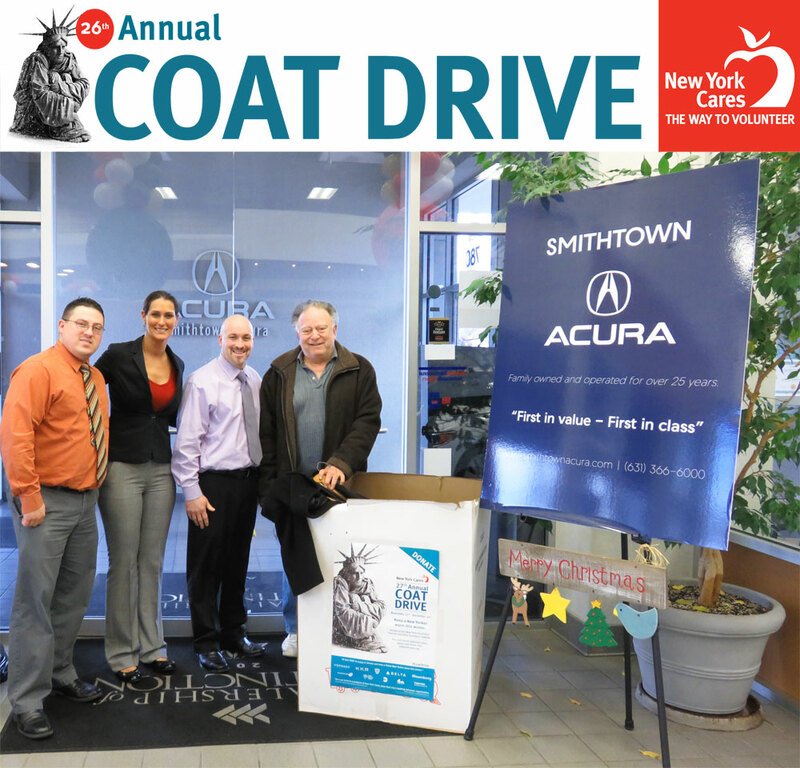 Smithtown Acura is Beginning to Collect Coat Donations for our Annual Coat Drive going to the 28th New York Cares Coat Drive! 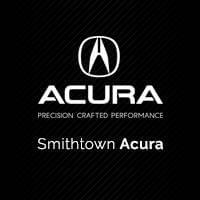 We will be setting up a collection box right here at Smithtown Acura on 780 Middle Country Rd. St. James NY 11780. 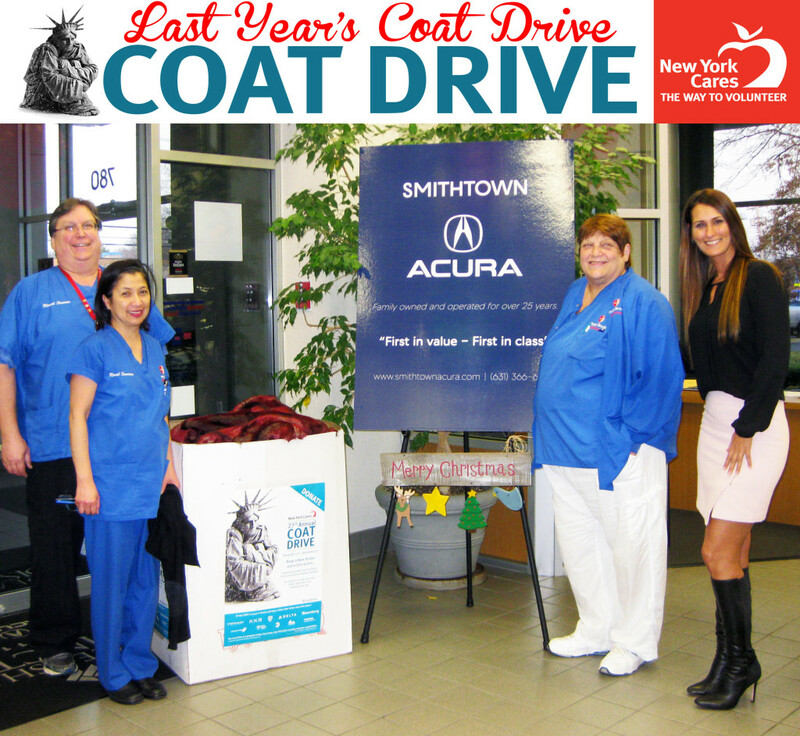 You will find the Coat Donation box right inside the Smithtown Acura Showroom by the Receptionist Desk. 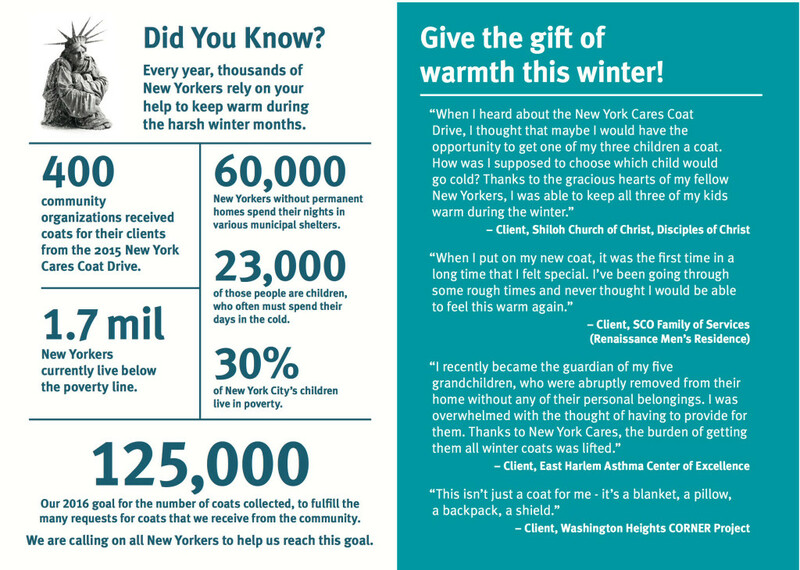 Please bring warm winter coats to donate to a New Yorker in need. Last year we collected over 100 coats and this year we hope to collect even more coats!!! I know we can do it, but we need YOUR Help. Let’s make a Difference Together. 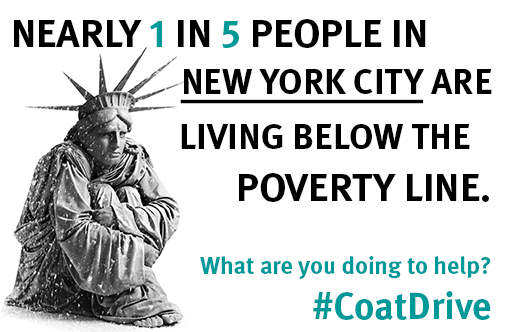 If you don’t have a coat to donate but still want to Contribute, just Text ‘COAT’ to 41444 (instructions below). 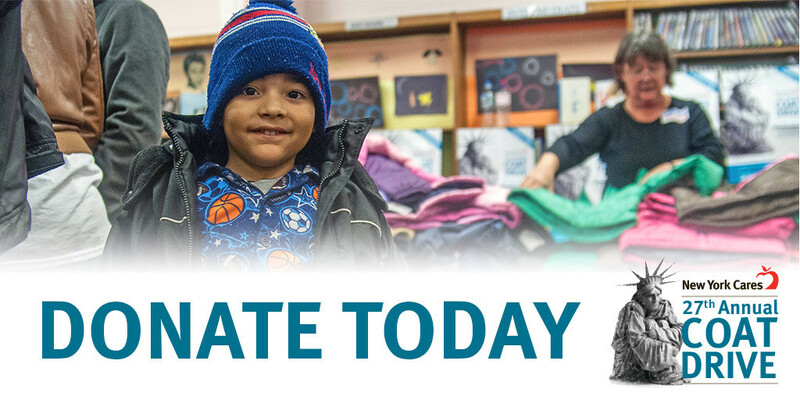 Photographs of the 2015 Smithtown Acura Annual Coat Drive!